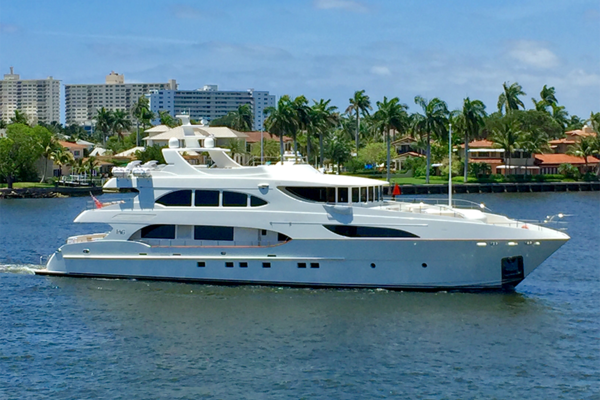 A steel displacement tri-deck twin screw 5 cabin motor yacht. Remarkably spacious full beam sky lounge and sun deck, very economical consumption. Beureau Veritas class renewed 2017. Comprehensive refit in 2015/16, including back to bare metal hull and superstructure paint. New teak decking, New radar arch design. Garage aft door and tender bay improvements. Interior re-design 2018. New furniture, bedding, dining and service of all hotel / domestic equipment. New sauna and beach club aft on main deck, teak lined Gym area. 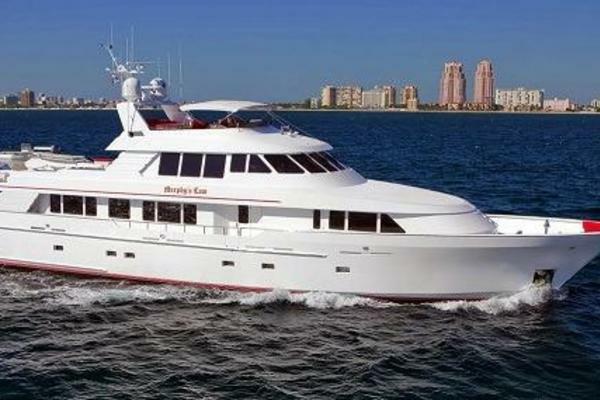 United Yacht Sales New Jersey would love to guide you through a personal showing of this 136' Liman Saint Nicholas 2007. This yacht for sale is located in Istanbul Turkey and priced at $6,250,000. For a showing please contact us by filling out the form on this page and we will get back to you shortly! 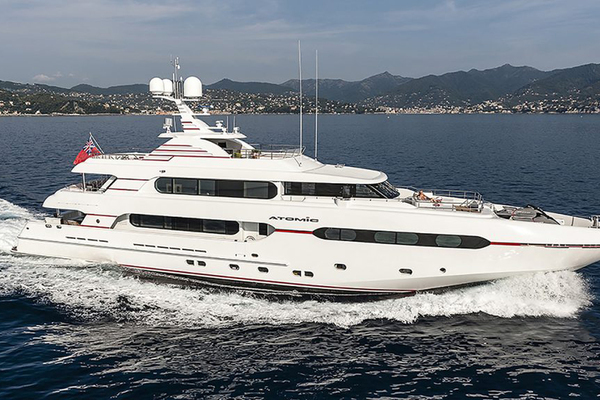 SAINT NICHOLAS, was built by LIMAN Yachts shipyard, part of the Odessa Shipyards Group. Formally Commercial and Militarty shipyards. The strength of build shows through the Hull fabrication and is visible on the steel frames throughout the hull. Steel displacement hull with bulbous bow and aluminium super structure. She has ample interior volume over three decks; Lower accommodation deck has 4 double guest cabins midships and houses the crew of 8 forwards in the bow. Engine room is accessible through aft garage door or sport side stair well. Main deck has a comfortable aft deck finished in teak leading to a new Beach club area with showers, day head, Sauna and gym equipment. Letting this areas access the sea and be a wet area for water sports and toys. Forward of this on the main deck the yacht becomes more formal and stylish with Parquet wooden floors and formal dining room. Owners suite is on main deck forwards. comprising office, walk in wardrobes and bathroom as well as king size double with vanity table and chaise longe sofas. Bridge deck has captain's cabin or 6th Guest cabin, and helm station with ships office and radio room space. Main sky lounge has a sand up bar and comfortable lounge seating with AV equipment. Bridge deckAft has 10 person dining table on teak decking. Main Tender is aft deployed by a large crane. The sun deck has teak decking and a large Jacuzzi on the binocular deck area. More dinning and sun bathing is available on this large space. The yacht has benefited from an extensive 12 month refit in 2015 including back to bare metal hull and super structure paint, new teak on deck, new radar arch and mast. Enlarged garage access. 2018 refit New galley equipment. New bridge NAV equipment, new master cabin bathroom and interior design refresh.